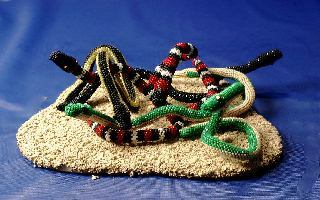 Tokay Beaded Art - Various types of items including tapestries, sculptures, books, kits and jewelry. Tokay Beaded Art is the studio name for Juanita Finger. Various types of items including tapestries, sculptures, books, kits and jewelry. 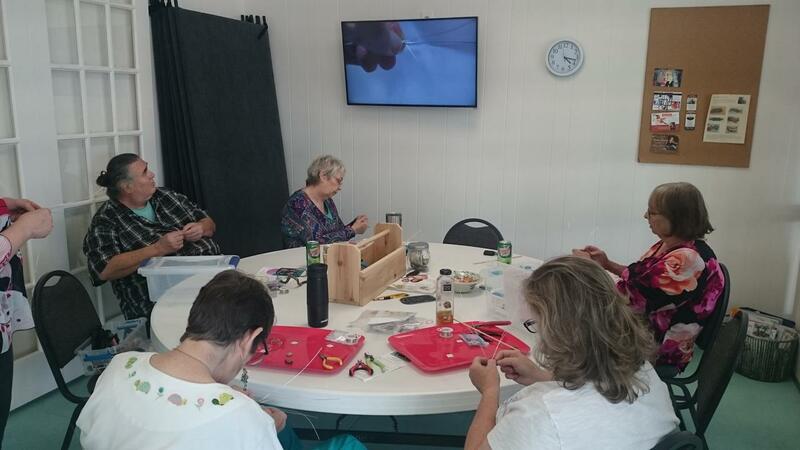 I teach bead-weaving from beginners to advanced. 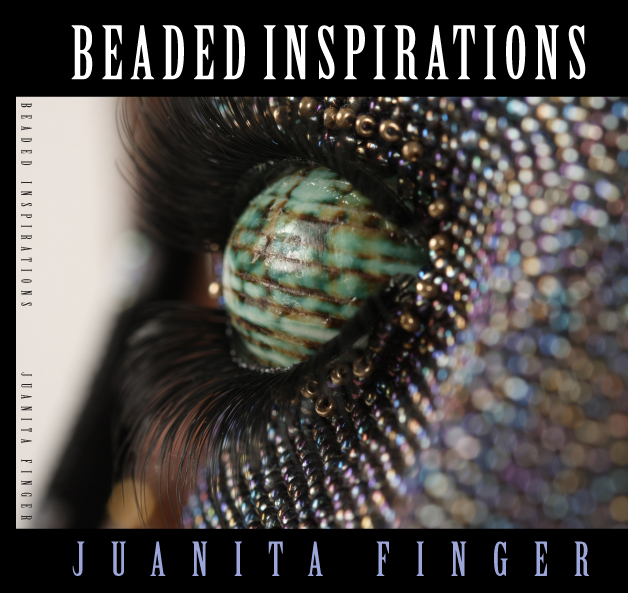 JUANITA FINGER of Roswell, New Mexico has a very special and particular talent with her use of beads and mixed media. “Life at the Pond” is delicate and highly detailed. Is that a red frog?